Transfer high-quality audio and data with the 3.3' Mercury3.0 USB Type-A to USB Type-B 2.0 Cable from iFi AUDIO. The USB 3.0 connection is designed to provide faster, smoother, and less-jittery audio than conventional cable designs. Additionally, the USB 3.0 connection offers quick data transfer speed up to 5 Gb/s. This cable is crafted for durability thanks to its aircraft-grade aluminum and gold-plated connections. Furthermore, this iFi AUDIO cable possesses three custom-made metal oxide ceramic RF noise silencers. Uses oxygen-free high thermal conductivity (OFHC) copper silver matrix conductors, which are intended to provide quality signal transfer. 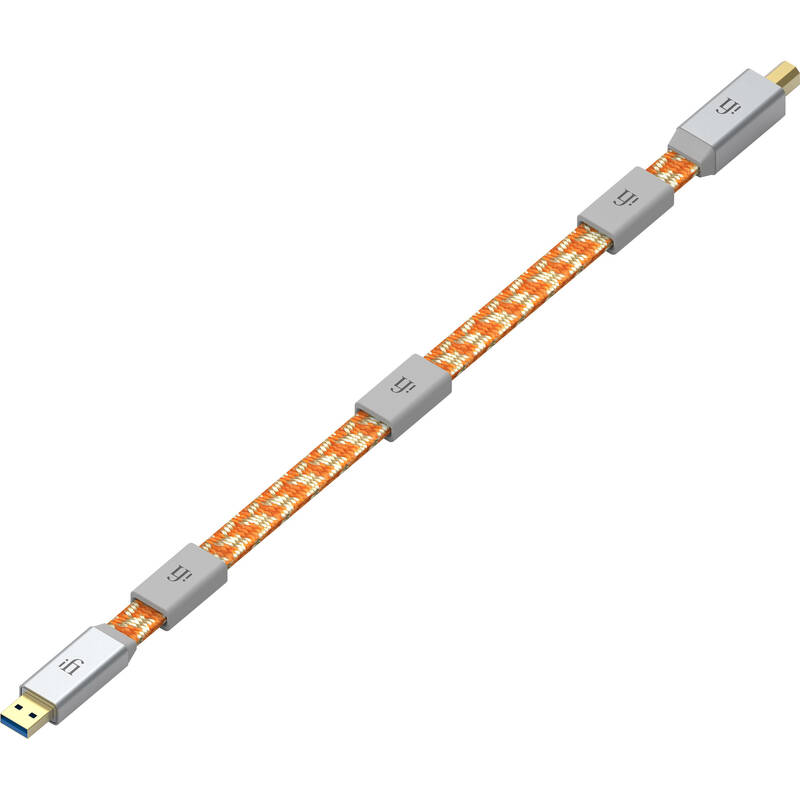 This cable is designed with quadruple shielding to separate and protect the USB data signal from USB power. The end-to-end RF shielding, aircraft-grade aluminum construction and gold-plated connections add durability and longevity to this cable. The three custom-made metal oxide ceramic RF noise silencers each has different effective range so that they broaden the range over which RF noise is silenced. Works with digital-to-analog converters that support USB Type-B 2.0.